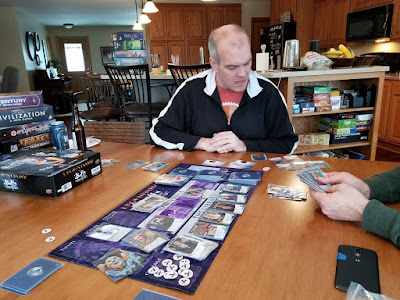 We had a gaming weekend down in St. Peter. Klund, Mean Mr Mustard, and my family all got together to board game for the evening and morning. 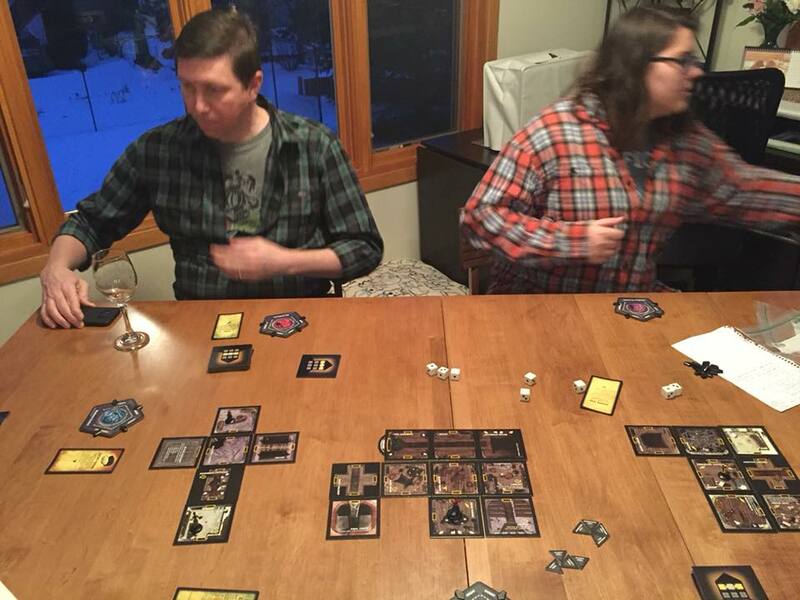 We finally talked Klund into Betrayal at House on the Hill (base version). There were two rounds. In the Friday night version, Mean Mr. Mustard became the nanny for a blob that ate the rest of us. Even with a screw up where he stood in his own blob too early he managed to take us all down. In the morning game, the game went Bill and Ted and there was some gaming with Death featuring me as Death's almost insane and physically feeble sidekick. They just didn't have much of a problem taking me down, although Eryn fell to her death through a floor, so I didn't leave them completely unscathed even if they did it to themselves. Legendary of Choice was Buffy the Vampire Slayer. I played a lot of Cordie cards. We won, although Klund was the only one taking on the big baddie (the Mayor). 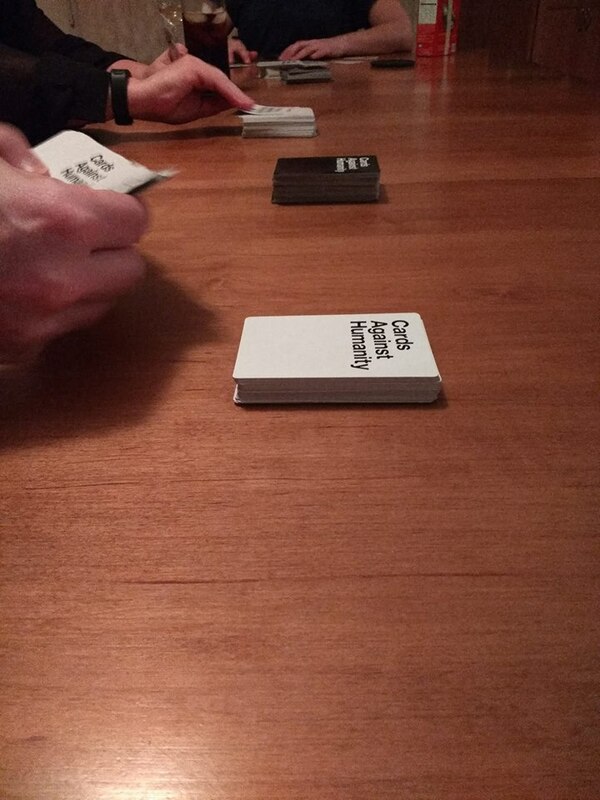 Late night Cards Against Humanity. Not everyone's cup of tea, but I like to try to play it fairly straight. You need friends you know aren't actual dicks that believe the card combinations and then it's fun. And if you ditch almost all the rules, you don't really have to play awful cards if you don't want to (although you'll still have to hear them). It's Apples to Apples for adults. Clank: In Space! 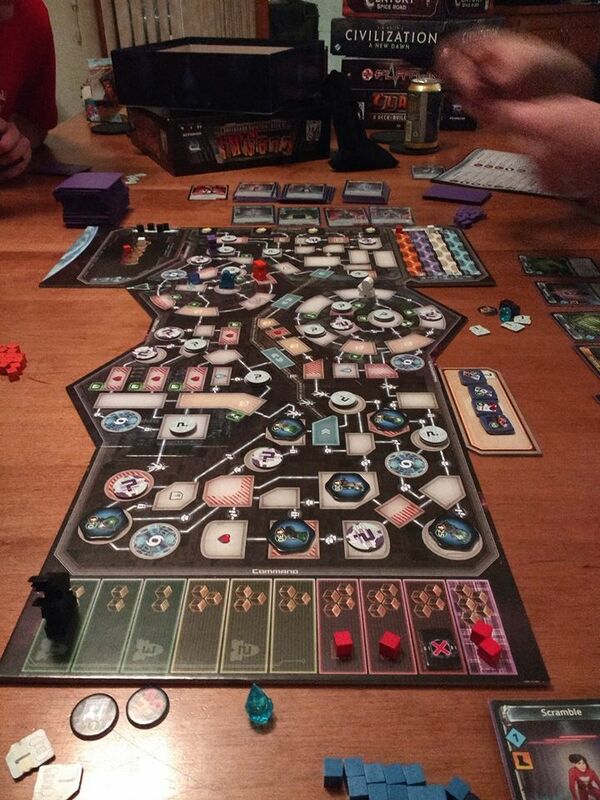 Klund claims it is the first game of Clank he's ever won. I've played twice now. 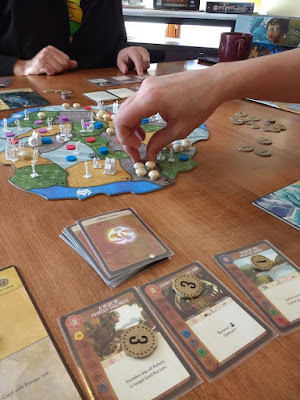 I like the changes in this version to make you move around the board a bit more and keep you away from the treasures until you've spent time traversing the board. We didn't see the crystals come out much. In the game I played with my wife they won me the game. I had card combos to give me crystals, sell crystals, and turn crystals into card draws. Flatline by Kane Klenko. Sort of the sequel to Fuse. You're trying to get all the patients through the space hospital quickly after you fail at defusing the bomb in fuse. 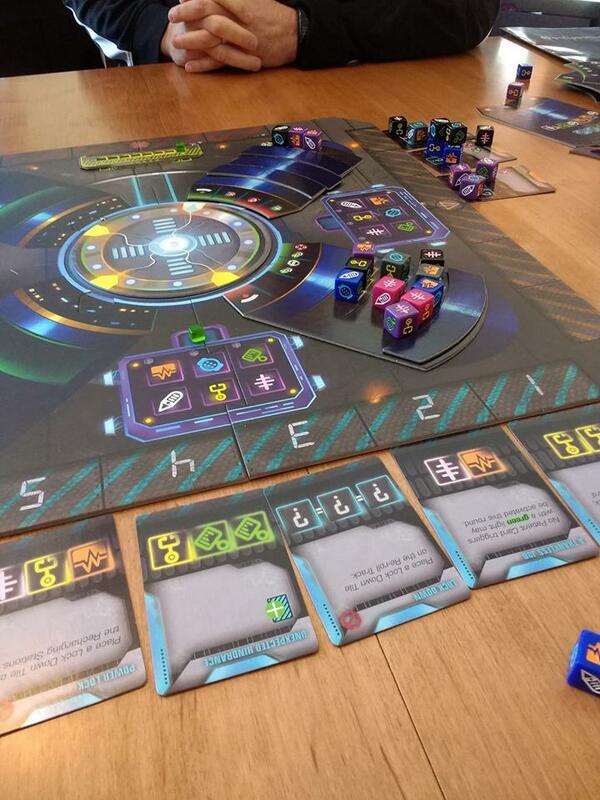 We goofed a bit and played with two/too many dice the first two rounds. But then we remembered all the rules and got back on track. We won without even engaging one of the two extra turns you can go after. I hadn't played with five before. That seemed to make it much easier, even with the changes to the cards for the number of players. Just having that many dice opens up a lot more combinations. Raiders of the North Sea. 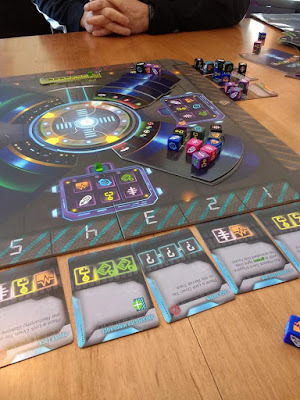 First game we played and my win. I maximized my extra attack points and Valkyrie deaths which helped. Fun game. Very much like Champions of Midgard, which I own, but without the monsters. They're different enough it's hard to say which one I like better. 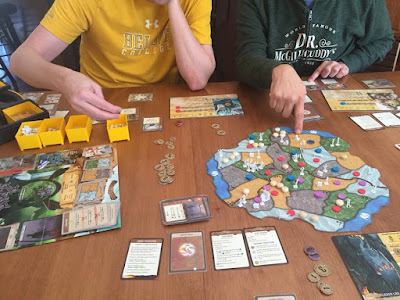 The mechanism in Champions of Midgard where you take away prestige from the other player if you're defeating the troll and they're not is fun. 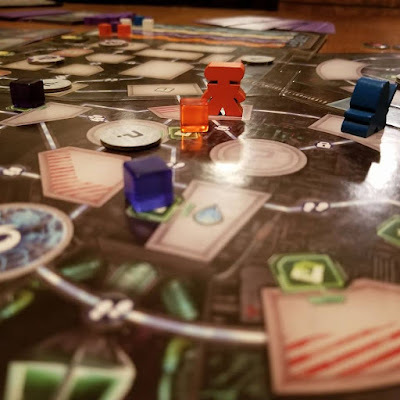 And I like the aspect of CoM where going to fight the larger monsters involves equipping your ship, facing a possible derailment (hunger), and then hoping you took enough soldiers in the right mix to defeat the monster. There's also a bit of a gambling aspect to that game in trying to determine the minimum amount you can take to defeat something so you're not constraining yourself elsewhere. 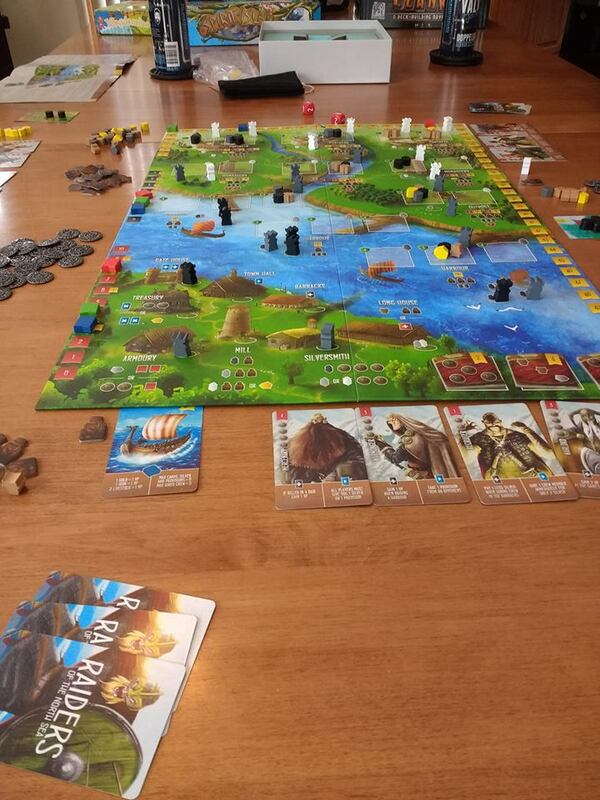 But Raiders of the North Sea is MUCH more streamlined as a game. Much cleaner and to the point. Then again, maybe that's why there are so many expansions and additional games in teh series. Spirit Island. Klund had to walk us through this one because it was a bit more complicated. But once we got going it was a lot of fun. I was a shadow spirit and focused on causing fear in the invaders. We won via playing all the fear cards (generating a lot of fear), but it really is extremely collaborative trying to help each other shut down areas others can't reach or can't affect in the same way. It was interesting to see that the difference in player abilities meant I had pulled all my special power cards into my hand by the end of the game, but Mean Mr. Mustard had barely touched his. More Spirit Island. You have to hold the island down with your finger so it doesn't float away. I don't think I missed anything. Definitely a full weekend of gaming, followed up with Superbowl LII only a few hours after getting home, the Eagles and Patriots currently duking it out on television (32 Philly to 26 New England with 9:36 in the 4th).